It is a rivalry that has been dominated by Ohio since Frank Solich arrived in Athens as he boasts a 11-2 record against the Red and White despite Miami having a 52-40-2 edge over the course of the series. The 2018 game has big implications for the MAC East as both teams are trying to keep pace with a Buffalo squad that has yet to taste defeat in conference play this season. 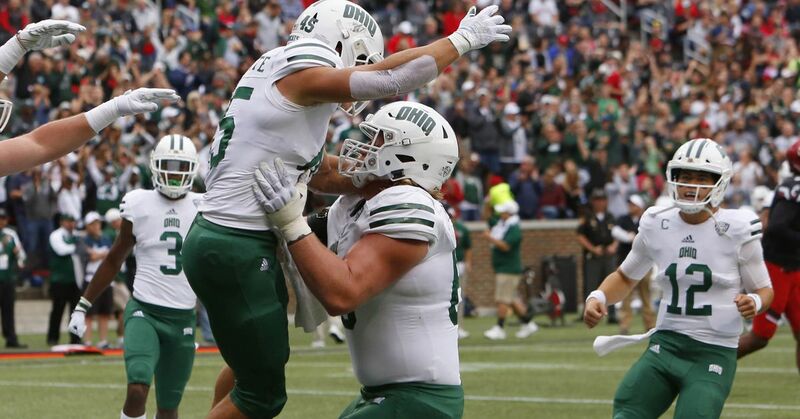 Ohio has been playing great football since its crushing 24-21 loss to NIU as it has eviscerated everyone else since then by downing Bowling Green (49-14), Ball State (52-14), and Western Michigan (59-14). The return of Alonzo Smith in the backfield provided a lift for the RedHawk running game as the team rushed for 140 yards and five scores against Buffalo. The back end of the defense has struggled against some of the better MAC offenses but Joshua Allen and Zedrick Raymond have been solid all season with five pass breakups each. For Ohio to win, it needs to take away the inside run of Miami to force the RedHawks to be one-dimensional and it needs to have some success throwing the ball to keep the defense and the pass rush off-balanced.